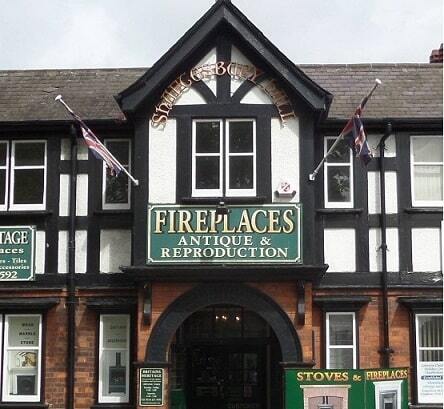 Leicester Fireplace Centre is an integral part of Britains Heritage, located in the same premises it is one of the largest, best known and respected suppliers of quality fireplaces in the midlands. Send a message via our Contact Form or call our highly experienced team for free advice on 0116 251 9592. Buy Marble Reproduction Fireplaces, Wood Reproduction Fireplaces, Slate and Stone Reproduction Fireplaces and Reproduction Arch and Tiled inserts. Delivery in the U.K from £70. Dedicated European and International delivery available. We also stock a large range of Gas Stoves, Multi Fuel Stoves and Wood Burning Stoves. All of our fireplaces are supplied to HETAS (solid fuel) or GAS SAFE (gas) current regulations. 2014 © Britains Heritage. ALL Rights Reserved.